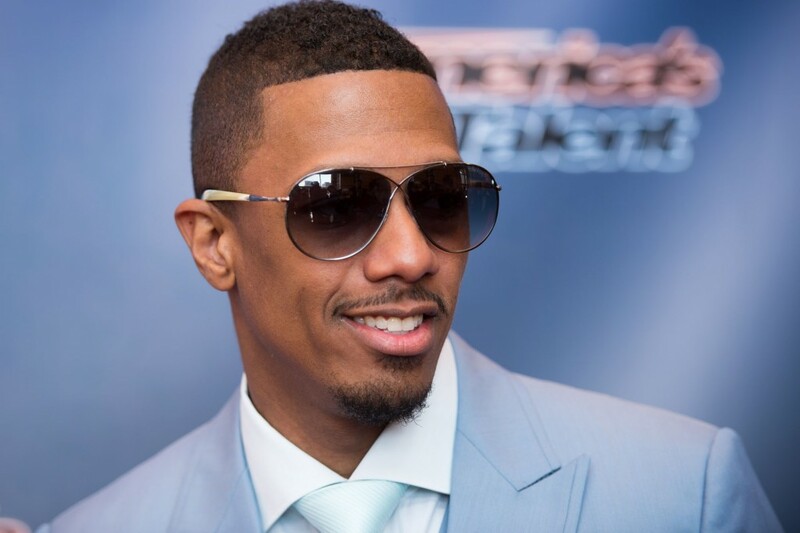 Nick Cannon is a multi-talented American entertainer who started his career as an actor, comedian and musician before moving on to become a director, screenwriter, producer, and radio and television personality. Cannon, who was once married to R&B songstress Mariah Carey, is best known for hosting shows like the MTV improv comedy series “Wild ‘N Out” and the NBC reality television series “America’s Got Talent”, among many other works. Nick Cannon was born Nicholas Scott Cannon to Beth Gardner and James Cannon on the 8th of October, 1980 in San Diego, California. His father, James, worked as a televangelist while his mother, Beth, was an accountant. Despite having both parents in his life, Cannon was largely raised by his paternal grandfather in Lincoln Park’s Bay Vista Housing Projects, located southeast of San Diego, due to his parents’ separation as a child. He also spent some time as a child in North Carolina, where his mother moved to which meant that he attended schools in both parts of the country. He first attended Avocado Elementary School in California before completing middle school in Charlotte, North Carolina at Quail Hollow Middle School. Cannon eventually graduated from Monte Vista High School in Spring Valley, California. Nick Cannon fell in love with music as a young child. His grandfather encouraged his dream by buying him a set of musical instruments that he used at the time to produce music. Cannon also used to love to make jokes which made his dad give him a time slot on his public access show where he performed stand-up comedy. In his teenage years, Cannon formed a rap group called ‘Da G4 Dope Bomb Squad’ which opened for famous acts when they came to town to perform. During that time, he also worked at well-known comedy clubs which led to him becoming a cast regular and writer on Nickelodeon’s “All That”. By 2001, Cannon signed a record deal with Jive Records. He was subsequently featured on the ‘Jimmy Neutron: Boy Genius’ film soundtrack before he released his first self-titled album in 2003. He, meanwhile, had begun directing, producing and starring in his own self-titled show on Nickelodeon as he tried to become a Hollywood movie star by taking on serious acting roles. The musician and comedian’s first Hollywood acting role came in 2002 in a small role on “Men in Black II”. Later that year, Nick Cannon was cast as the lead in the film “Drumline” where he played the role of Devon Miles. He continued with his acting career by appearing in movies like “Shall We Dance” (2004), “Roll Bounce” (2005) and “Bobby” (2006) which earned him a Screen Actors Guild Award in 2007. By 2005, Cannon left “The Nick Cannon Show” on Nickelodeon and moved to MTV where he began hosting “Nick Cannon Presents Wild ‘N Out”. He also formed his own record label called Can-I-Ball Records where he released the single called “Can I Live?” but due to other commitments, he was unable to release an album which led him to cancel that label and create another one in 2009 called “N’Credible Entertainment” which focuses on not just music but film and project merchandising. Also, in 2009, Cannon became the host of “America’s Got Talent”, a position which he held till 2016 when he resigned over creative differences between him and the show’s executives. Nick Cannon is estimated to have a net worth of around $50 million. The multi-talented entertainer has been able to amass such wealth by trying his hands in almost everything, from music to acting to producing and writing, as well as through all other business interests. Also, while working on America’s Got Talent, Cannon reportedly earned a salary of $70,000 per episode. Nick Cannon has in the past, dated some of the best-looking women in Hollywood, including Selita Ebanks, Kim Kardashian, and Nicole Scherzinger. He, however, married Mariah Carey, who is about 10 years his senior, on April 30, 2008, at a private ceremony in The Bahamas. Three years after their marriage and exactly on their third wedding anniversary, Cannon and Carey welcomed a pair of twins; daughter Monroe and son Moroccan Scott. In 2014, after six years of marriage, Cannon filed for divorce from Mariah Carey for unknown reasons. The divorce was finalized in 2016. Cannon went on to have a third child, a son named Golden Cannon, born on February 21, 2017, with American beauty pageant winner Brittany Bell.